Banner County is proud to be a Livestock Friendly County. Banner County is one of two counties in Nebraska that received its name from the aspirations of the inhabitants. According to some, early settlers in this Panhandle region aspired to make it the “banner county” of the state since it was to be “the brightest star in the constellation of Nebraska counties”. 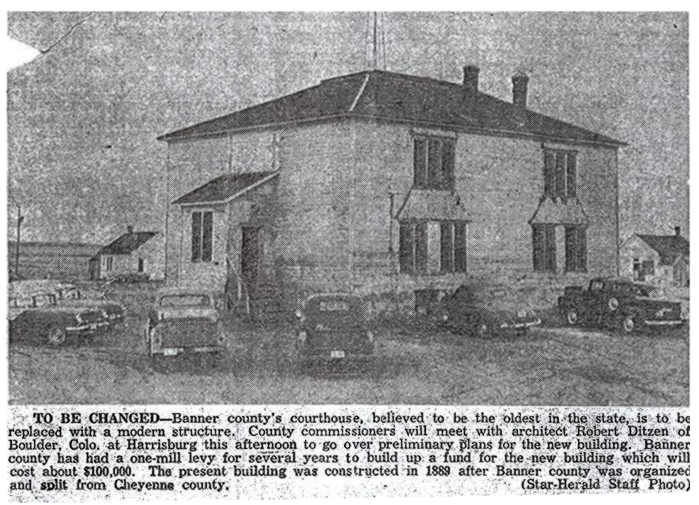 The area that today makes up Banner County was once part of a larger Cheyenne County. In an election held on Nov. 6, 1888, Banner, Kimball, and Scotts Bluff Counties were created from the western third of Cheyenne County. Immediately upon receiving word that the area would become a county, local residents proposed a design for a county seal. In the center of a circle is a banner, and across the banner is a line representing Pumpkin Creek which traverses the area from west to east. In the center of the banner is a pumpkin. Banner County was officially organized on Jan. 29, 1889, and the settlement of Ashford was designated as a temporary county seat. A special election was scheduled for the following month to select a permanent site from among four aspirants: Ashford, Banner, Freeport, and Harrisburg. It actually took two elections, with Harrisburg finally being chosen. Today, Harrisburg is one of two unincorporated villages in Nebraska to serve as a county seat. The other is Tryon, in McPherson County. In fact, Harrisburg and Tryon both represent the only communities in their respective counties. Banner County enjoys a rich history. Many, if not most, residents of the county today are direct descendants of the first settlers and much of the land remains in the same families that originally homesteaded on it. Farming, ranching, and oil drilling are the primary components of the county’s economy. 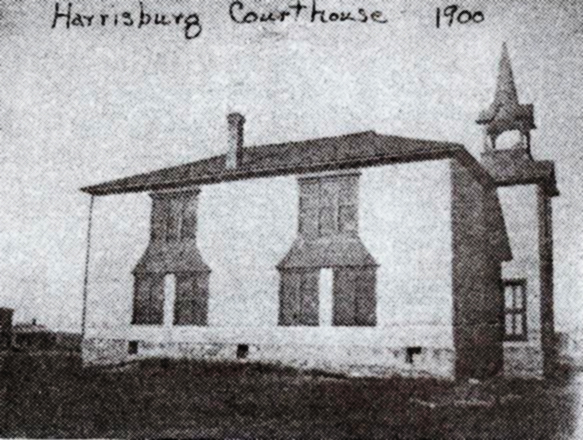 For many years a frame building served as the county’s courthouse. Then in 1957 a modern, one-story brick building was constructed and serves as the county today.